For the first time in 24 years, AEK Athens have become champions of Greece. Following the club’s historic achievements, we take a look back at each of the Enosis’ 12 league titles. 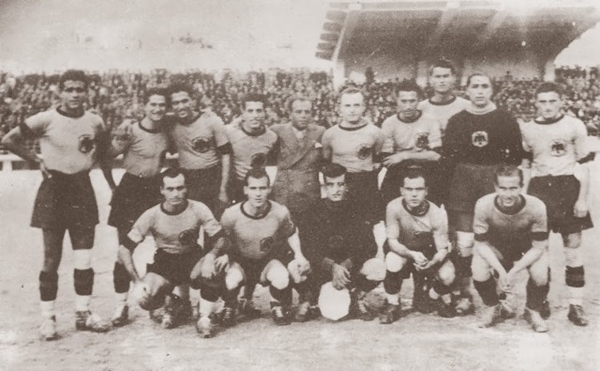 In 1939, AEK became Greek champions on the first occasion in the club’s history. With the regular season split up between the northern and southern regions of the country, the final saw AEK and Iraklis do battle. 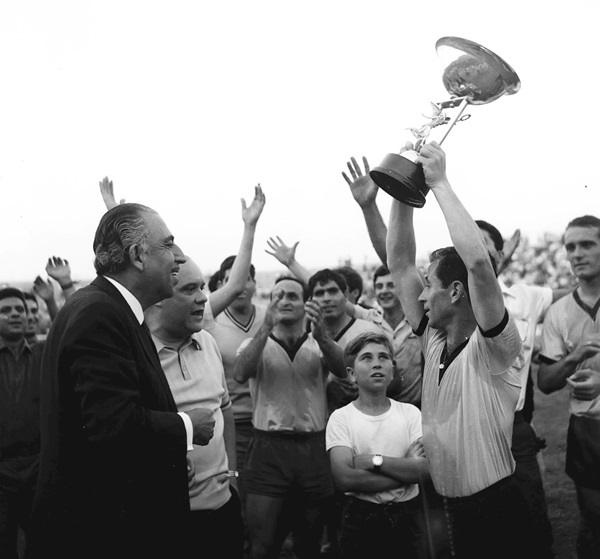 Having won the first leg 3:1, the Enosis earned a 4:2 victory in the second and sealed a 7:3 aggregate victory. In the mood for retaining their title, AEK refused to loosen their grip on the trophy and won the club’s second successive championship. Once again, AEK played a club from Thessaloniki in the grand final, but this time their opponents were PAOK. The Kitrinomavri were too strong for PAOK, claiming a 5:3 victory over the two legs. During the regular season, AEK only lost the one match against Olympiacos. 23 years later, the Enosis finally found themselves at the top of the Greek pile. It was a close call though, as AEK were in joint first place of the table on 77 points with Panathinaikos. In the playoff game required to separate the two, the teams drew 3:3, but AEK were gifted the title because of the club’s superior total goal average. This time, AEK didn’t have to wait so long for another league title. 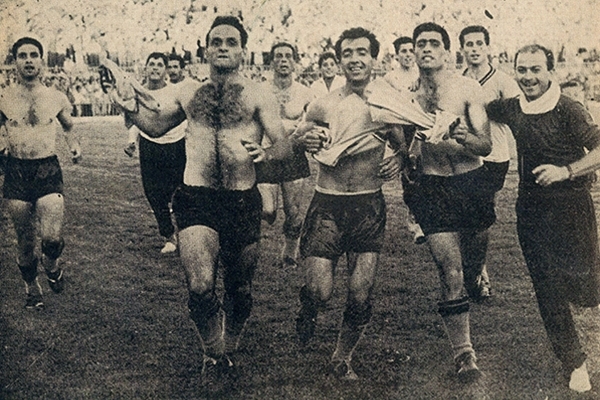 Unlike in 1963, no playoffs were needed to figure out the winner, as the Kitrinomavri finished four points ahead of Olympiacos in first position. AEK’s home form was the key to success, only losing one out of 17 games in Nea Filadelfia. AEK clinched their fifth championship in confident fashion, boasting a five point advantage over second placed Panionios. Just like in the 1967/1968 season, the Enosis was simply unstoppable at their home ground, not dropping a single defeat in front of their fans. 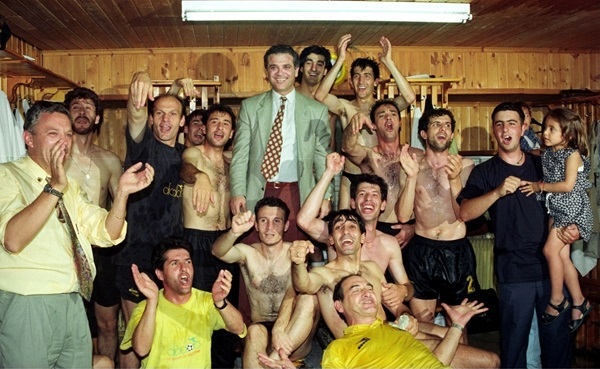 Legendary coach Branko Stankovic oversaw the triumph at the AEK helm. 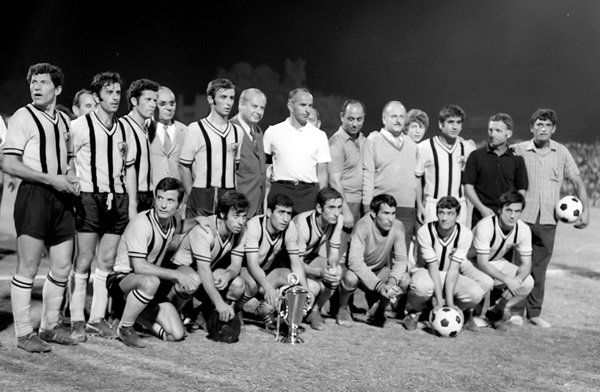 Possessing players such as Dusan Bajevic and Thomas Mavros in the squad, the Athenians dominated the 1977/1978 season, comfortably winning the trophy with 53 points from 34 matches, seven ahead of PAOK Thessaloniki. Both of the team’s two defeats came on the road. Hungarian legend Ferenc Puskas was the coach coming into the season, but he was replaced by Andreas Stamatiadis after a string of poor results. AEK were tied in first position with Olympiacos on 56 points, however AEK had a stronger goal difference and no playoff match ever took place. AEK and Olympiacos participated in a thrilling title chase, but it was the Kitrinomavri who emerged on top after Takis Karagiozopoulos netted the winning goal to beat the Thrylos in an historic victory. This was also the club’s maiden Greek triumph with Dusan Bajevic in charge of the team. In the first of three consecutive Greek championship wins, AEK edged arch-rivals Olympiacos and Panathinaikos to earn the title. Coming into the season, Panathinaikos were the favourites, but a hard-working AEK side managed to take the spoils. Locked in a pulsating battle with Panathinaikos, the Kitrinomavri completed their victory with a 3:1 triumph against Olympiacos in Nea Filadelfia to win the Alpha Ethniki by one point. Beating the Thrylos in the crucial match was a fitting way to become champions. Completing the hat trick of titles, the Enosis confidently won the 1993/1994 campaign, ending the season with a seven point lead ahead of Panathinaikos. 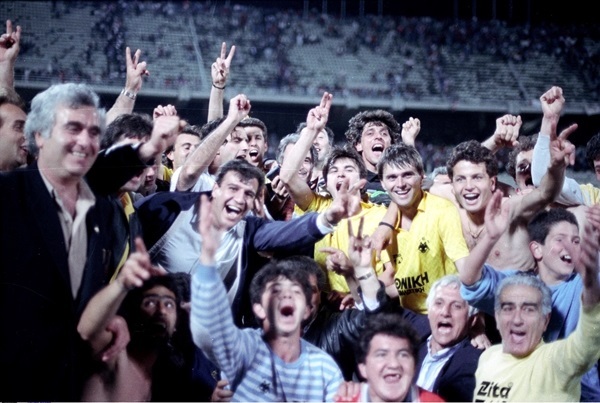 Back then, little did AEK know that the club would wait another 24 years for the next Greek championship success. Displaying excellent football from the beginning, Manolo Jimenez’s men finished Olympiacos’ seven-year dominance of the Super League. The Thrylos and PAOK were affected by headline scandals which saw the two clubs docked points, but AEK were the most consistent team over the course of the season. Giorgos Giakoumakis’ dramatic late goal to beat Olympiacos in Piraeus is regarded as the season’s defining moment.